Our newest location is ready to roll. Set to open in the spring of 2017. We are proud to be a part of the community in Hereford Texas. 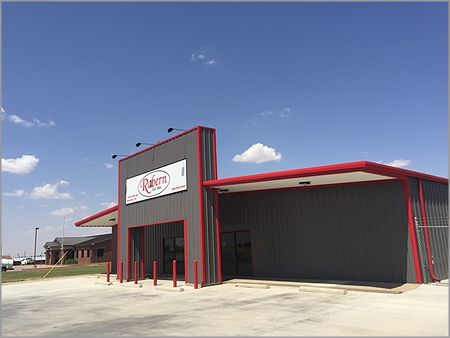 This facility will expand Rabern Rentals foot print, throughout the panhandle and New Mexico. This location will have homeowner, commercial, industrial, and farming equipment. Rabern rental takes tremendous pride in creating a “culture” and a experience when you step into one of our facility’s. This Hereford location is a perfect representation of this idea. A newly renovated facility, top of the line rental equipment, and backed with a 33 year reputation of treating people right. That’s the Rabern way. 725 N 25 Mile Rd.